Businesses have a lot on their plate in this Internet-based world. Aside from servicing their customer base, they must also work on their digital visibility. Business listings are essential to website traffic and industry viability. However, you may not be familiar with the details involved with these listings. Learn how to build and edit these local business directories to increase your visibility in the digital world. In the world of business listings, any inconsistencies of business name, address or phone number (NAP) means less credibility and poor search rankings. Be sure the NAP of every listing is correct and consistent across all directories. This includes Social Media platforms such as Facebook and Google my Business. Using “&” instead of “and” makes a difference as well. Ideally, companies should verify their listings on a regular basis. This process can also be automated through an SEO company. Show off your professionalism through proper and consistent information. The company name ranks higher with each search effort. Mistakes or typos occur all the time in local business directories. The typos may be intentional or a mistake. Verify your contact information regularly. Search engines work best with real, physical addresses. They’ll automatically map the San Antonio business during a search. As a result, your business may end up on the first page in the maps 3 pack. Double check addresses for transposed numbers or letters. Don’t forget about the phone numbers too. Consistent, contact information is just as important as the company’s name. Thousands of business listings are part of the virtual world. It’s up to you to manage the category of your business so people can find your services. If you sell electronics, don’t refer to the store as just an “electronics store.” Consider the services you provide and type in those services to determine if a category exists for this service. If it exists, include the category for your business. You’ll rank higher on the search engines as a result. Your company has three social-media sites, one website, and several third-party associates. As you list your business, add your homepage URL to the site. Don’t add any other pages or websites. This strategy serves two purposes. You appease the search engine algorithms with a basic website. The URL also helps your customers find the main page without drifting to various sites that don’t solve their query. Confusing any visitors leads to poor sales and business for your competitors. Review sites and other listings offer business owners a chance to “claim” their business. Users seeking your services will find either a claimed or unclaimed company. When you claim the company, the user can see that you’re actively involved in the business. They’re more likely to reach out to you with any questions. Don’t overlook the value of this simple, online gesture. Search for any business online. The resulting listing usually includes images and the company logo. Search for your own company using various keywords. Take a look at the images that display. Are these photos applicable to your business? Inappropriate images tagged with your company name should be deleted from the pages. Regardless of whether the images are mistakes or placed by competitors, you’re in control of the business’s online reputation. Incite Digital Marketing and Advertizing is now a dominant force in San Antonio. 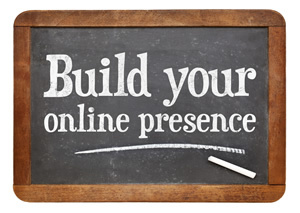 If you’re concerned about your online presence, contacting these professionals is critical to your success. 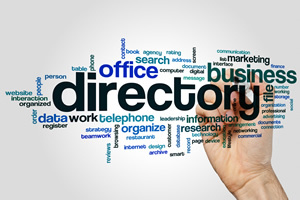 Be a master of your own, local business directories. Their accuracy only translates into more hits and higher rankings on top, search engines.